Members of our lab will be presenting research at a variety of meetings this summer. First up we have Tiffany Baiocchi and undergraduate Kassandra Kin attending the GSA C. elegans Conference at UCLA at the end of June. Next Dr. Dillman and Dennis Chang will represent the lab at the 56th Annual Meeting of the Society of Nematologists in August. Then Dihong Lu and undergraduate Paul Medina will attend the Golden Jubilee Conference of the Society for Invertebrate Pathology in August. We are excited to be interacting with our colleagues at all of these scientific venues and are anxious to see what other labs are working on. Congratulations to Paul Medina, for being selected as the First Place Co-Champion of the Nematode Division Student Travel Award competition for the upcoming Society for Invertebrate Pathology meeting. Be on the lookout for Paul’s presentation at the meeting in San Diego in August. Kassandra Kin wins best oral presentation at the UCR Undergraduate Research Symposium! Congratulations to Kassandra Kin, who represented the lab by presenting a talk at the recent undergraduate symposium. Of 64 oral presentations over the two day symposium, Kassandra was honored with the prize for best oral presentation. Kassandra’s hard work, practice, and careful planning has been rewarded. 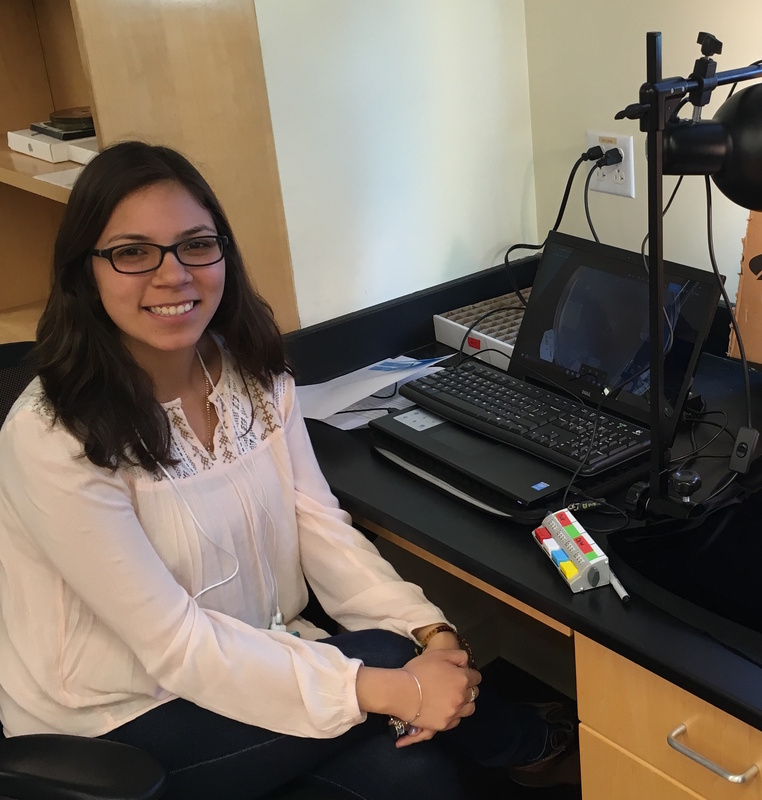 In addition to this recent award, Kassandra was accepted into the Computational Entomology Research Experience for Undergraduates (REU) over the summer here at UCR. We are excited to see what she learns over the summer. Keep up the excellent work! Author adminPosted on May 10, 2017 May 10, 2017 Leave a comment on Kassandra Kin wins best oral presentation at the UCR Undergraduate Research Symposium! 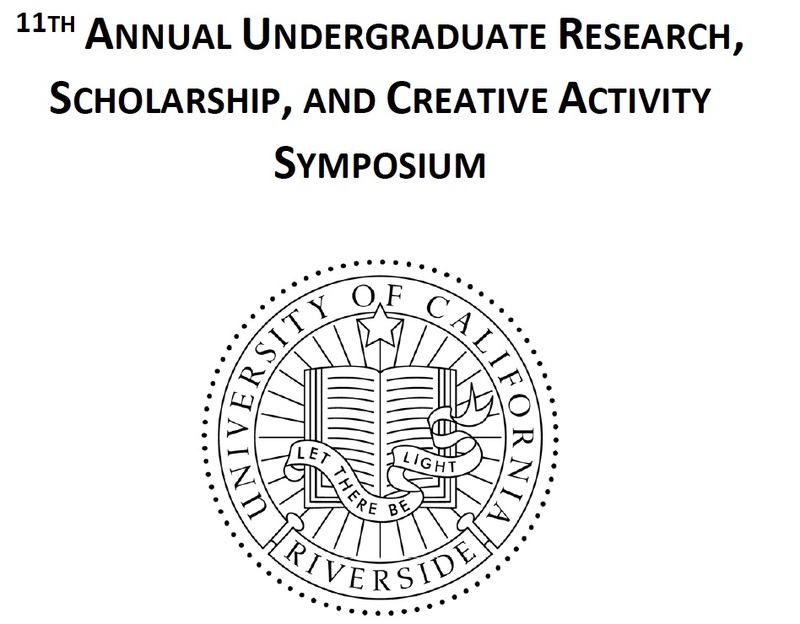 Lauren Allison, Carter Gerke, Kassandra Kin, and Paul Medina are sophomore undergraduate students in the Dillman lab and all four are presenting research at the 11th annual Undergraduate Research, Scholarship, and Creative Activity Symposium at UCR May 3rd and 4th. Congratulations to each of them. They have worked hard and we are excited to see where their experiments will take us. Congratulations to Dihong, Dennis, and our collaborators in the Baldwin and Mortazavi labs. This paper, examining the identity and activity of proteins secreted by S. carpocapsae was two years in the making and lays an important foundation for future work. The paper was highlighted by UCR in a news article. We just published the results of our PLoS One paper in the Science Journal for Kids. This is our first experience with this journal and we are excited to see the results of this work. We think it is important to engage the public and to make science accessible and this seemed like a great way to do this. We are always looking for more ways to engage and welcome your feedback and ideas. Congratulations to Dihong Lu, Dennis Chang, and our collaborators. 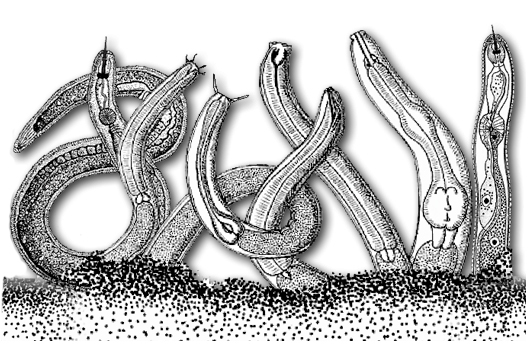 Our manuscript, “Activated entomopathogenic nematode infective juveniles release lethal venom proteins,” was just accepted by PLoS Pathogens. The paper is scheduled for early release on April 20th. Great work! Congratulations to Dennis Chang, for being awarded a travel scholarship to the Molecular Helminthology meeting in Cape Code this month! 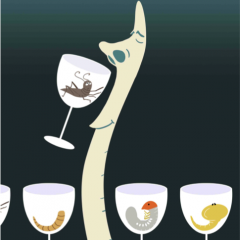 Be on the lookout for Dennis’s poster where he details our latest work in his poster: “The insect-parasitic nematode Steinernema carpocapsae releases a composition of lethal proteins inside hosts.” Good luck at the conference Dennis. Check it out for the latest videos of things we’re working on in the lab.